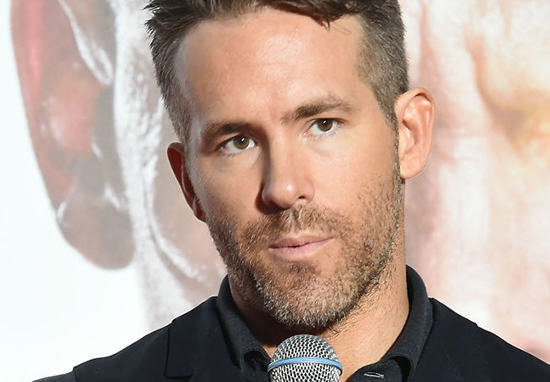 Ryan Reynolds has turned 42, and has celebrated with his usual brand of self-deprecating humour. The Deadpool star took to Instagram with an adorable picture of himself as a little boy sitting before a birthday cake – mischievous grin instantly recognisable – alongside his dad (who looks very like his now famous son). ‪Happy Birthday to me. Or as Dad used to affectionately say, ‘the condom broke’. Whether or not Ryan’s dad actually used to make this salty joke, or whether this is from the imagination of the Green Lantern star himself, it’s easy to imagine this sort of banter going on in the Reynolds’ household. This isn’t the first time Ryan has humorously referred back to his childhood with old photographs. The Canadian actor recently shared a picture of himself with one of his brothers – as kids – seated together in a little yellow car. The first car my brother and I jacked together. I’ll never forget that bowl-cut. Or the sound of Dad screaming from the trunk. All jokes aside, I reckon Ryan’s dad, Jim, would be super proud of his caring and talented son, who’s made people laugh all over the world, while breaking down mental health stigmas. Jim sadly passed away back in 2015 after battling with Parkinson’s disease for 20 years. My dad was a tough guy. He was good in many ways as well, but he was tough on us. This is not meant to be some sob story — everyone carries their own bag of rocks around and I am no different in that regard — but growing up in my house, it was never relaxing or easy and I know that, throughout my life, I’ve dealt with anxiety in different ways. My brothers and I are all very, very close and we all share a bit of that type of humour together. I’ll look for the joke in things so that I don’t look for the sadness and the grief. Happy birthday Pops. If you were alive, you’d be 77 yrs old today. If this horse were alive, he’d be something like 105… and if we’re being honest with ourselves, probably pretty hard to look at. Meanwhile fans have rushed forward to celebrate the alleged condom breakage in question, with one person suggesting, ‘Someone should make a monument for that condom’.